This is a new thing I’m trying so let me know if you enjoy these types of posts. This is a look at what I had on my nails for the past month. This allows me to have a look at which colours I’m gravitating most towards and which brands I am liking. For February I wore four different brands; Essence, NYX, She and Sally Hansen. As you can tell in January I was going for pinky shades which turned into darker purpley shades as the month progressed. I like the consistency of all four nail polishes and they all stay on for a solid week on my nails without chipping. Personally I love the She colour but the Essence one is really fun and bright. The Sally Hansen one is not as opaque as the others but I love how the plum colour shows through and I love the application. The NYX colour is the first burgundy I own and I am really pleased with the shade. 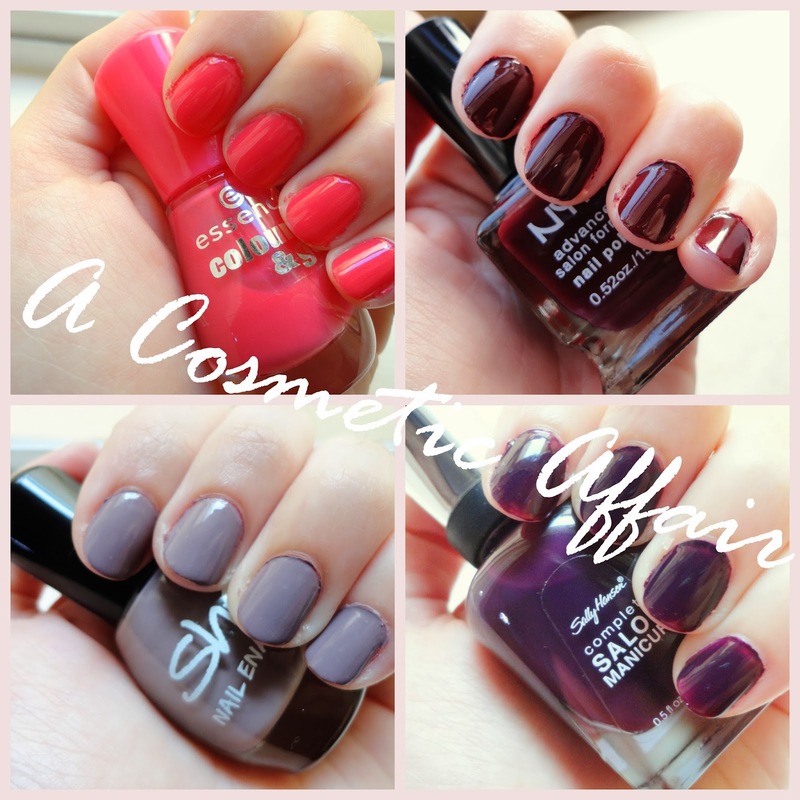 The colours are Essence Naughty and Pink, NYX Red Wine, She Dirty Lilac and Sally Hansen Plum Luck. Which shade would you go for? Have you tried any of these shades?